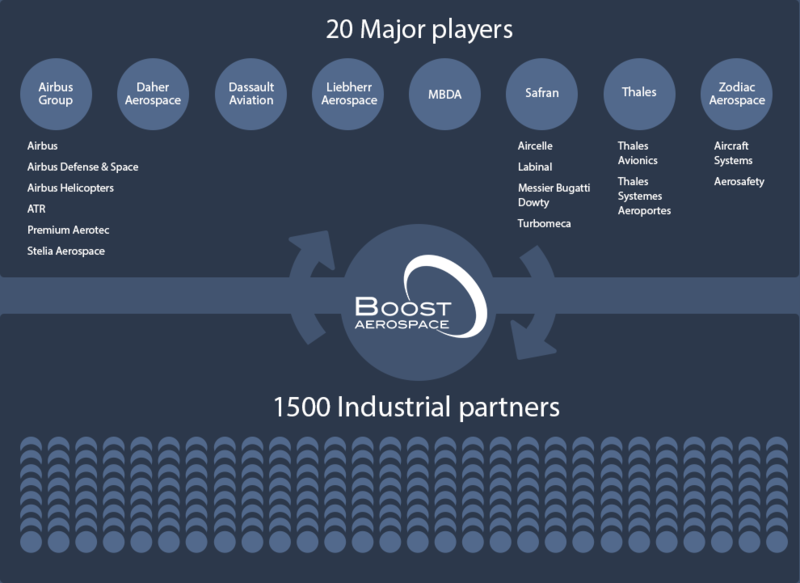 BoostAeroSpace was built to serve the unique demands of the global Aerospace and Defense community. BoostAeroSpace provides secure Business Solutions that improve the collaboration between Customers, Suppliers and Partners using standardised processes. Three solutions are provided in Software as a Service (SaaS) Mode: AirSupply (Logistics Collaboration Processes), AirCollab (Cross-company Collaboration Workspace), AirDesign (Technical Data Exchange). Patrick Fanget started out his professional life as a drilling engineer within TOTAL, a French petroleum company. He joined AEROSPATIALE in 1986, Systems and Services Division, where he had appointments in Product Support, Contracts management and Procurement. He became Vice President of Systems and Equipment Procurement within Airbus France in 1998 up to 2006 where he had to manage the calls for tenders of the A380 and A400M systems. Then he was nominated as Senior Vice President of Airbus Propulsion Systems Procurement, where he managed the selection process of the engines and nacelles for the A350XWB and the A320 Neo. Before being nominated as President of BoostAeroSpace in November 2016, he was Senior Vice President of Airbus Group General Procurement since 2010. Patrick graduated from a French engineering school (Institut Polytechnique de Grenoble) and has a MBA in Management from the Institut Français de Gestion. After having graduated from Ecole des Mines de Paris, Pierre started his career in 1984 at Dassault Aviation, where he is now e-Business Vice-President. Since 1995, Pierre is Chairman of the AFNeT, the French e-business Association, whose mission is to promote the competitiveness through the digital processes and tools, especially in the PLM and SCM domains. From 2003 to 2010, Pierre has also managed all the digital GIFAS projects of the French Aerospace Industry such as e-PME (2003), BoostAero (e-SCM standards, 2004-2005), SEINE (e-PLM standards, 2005-2006) and finally BoostAeroSpace (European Aerospace & Defence Digital Hub, 2008-2010). Since 2006, Pierre Faure is President of BoostAero International Association, which support Aerospace & Defence business processes by related BoostAero standards. 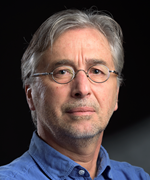 In 2011, Pierre was nominated President of BoostAeroSpace and between 2012 and 2014 he was in charge of AirDesign, the PLM collaboration service of BoostAeroSpace, as a Vice-President. Pierre was appointed as BoostAeroSpace General Manager in November 2016. Anaïs is graduated from Toulouse Business School, a degree that she obtained in apprenticeship as Lean Project Leader within Safran Electrical & Power. She started her professional career in Altran Group. First as a Supply Chain consultant, she became then a Business Manager in the domains of industrial performance (mostly related to procurement, manufacturing and quality projects) in the Aerospace and Defense industry. Anaïs joined BoostAeroSpace in March 2019 and is now responsible for our Commercial and Marketing activities. Anne Carrere started out her professional life early 1995 at PepsiCo as a Marketing and Sales Administration Analyst. She also worked for Internet startups as communication and content manager. Anne joined BoostAeroSpace in June 2017. Anne earned a Master in International Trade and Marketing from ISEG Group. After a professional Master’s degree in “Telecommunication and Computer Networks” at the University of Toulouse in Alcatel-Lucent where he specialized in security Romain started his career at CapGemini Sogeti as security engineer for the Airbus ICT department. He spent 5 years working for Airbus SAS before being offered to join Airbus Defense and Space CyberSecurity as BoostAeroSpace Security Officer. Since 2011, he is officially responsible for the coordination of the security activities of BoostAeroSpace and validated his security skills through mandatory International certifications such as ISO27001 Lead Implementer and Certified Information Security Professional (CISSP). Recently, in 2014 he supported Airbus Group CyberSecurity as program manager during 1 year before moving officially to BoostAeroSpace SAS as Chief Information Security Officer. Christophe Rodrigues is a senior PLM project manager with more than 15 years’ experience. He started his career in 2003 at Dassault Systèmes where he spent 8 years as consultant. He gradually become a specialist in the A&D and had the chance to share his knowledge in PLM projects for the following companies AIRBUS, DASSAULT AVIATION and BAE SYSTEMS. He has also developed an expertise in the area of electrical system design. In 2011, Christophe joined GOODRICH ACTUATION SYSTEMS, a leading aerospace manufacturer to define and implement the PLM strategy within the European sites. In both experiences he took on the dual role of Project Manager and PLM Application Manager. Christophe holds an engineering degree from ESIEE (Higher School of Engineers in Electrotechnics and Electronics), option: Production Systems Engineering coupled with an executive MBA in digital transformation at Toulouse Business School. He joined BoostAeroSpace in April 2019 and took over Product management activities for AirDesign and AirCollab. Nadege brings over 10 years of administration experience from various positions in the automotive and business consulting, including positions at Ernst&Young as well as Renault. She is supporting the day-to-day operations of BoostAeroSpace in Neuilly-sur-Seine.